It is estimated that at least 44,000 people, and possibly as many as 98,000 people, die each year due to preventable medical errors. What can you do, as a patient, to minimize your risks? These are used to deliver medication and sample blood. They also pose a significant risk of infection. If your doctor orders the use of one, ask your physician on a daily basis when it can be removed. Also, make sure that before any health care worker accesses your central catheter they scrub the entry port for a full 15 seconds (and not a second less) and then allow another 15 seconds to let it dry. No exceptions! In your notebook each day, review with your physician how you are doing and what the goal for the day is and jot that down in your notebook. Share that information with the various shifts of new health care providers throughout the course of the day. 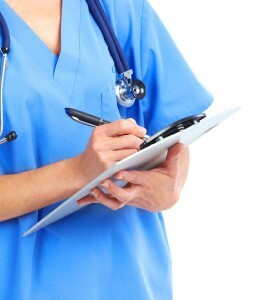 Write down any questions you have and share those with your nurse and your physician. Get moving as soon as possible. Use pain medications not to simply gork out in your bed but as a means to facilitate your rehabilitation efforts. If you’re bed bound, ask for a spirometer and use it every hour while awake. Try and keep the blinds open in your room and avoid taking excessive naps during the day. Anesthesia and certain medications can impair your sleep. The sooner your sleep cycle returns to normal, the better. These and other tips can be found here. If you believe you’ve been injured as a result of a medical error, please contact us at Cole & Leal.